A couple of people have asked me how to weave the travelling inlay. I love the effect as it makes the eye wander through the weave. To do the travelling inlay I just add a short length of an additional yarn into the shed under as many threads as appeals to me, weave a few picks in the normal weft, then take the additional yarn under the threads back the other way, creating a vertical float over the top of the normal weft. 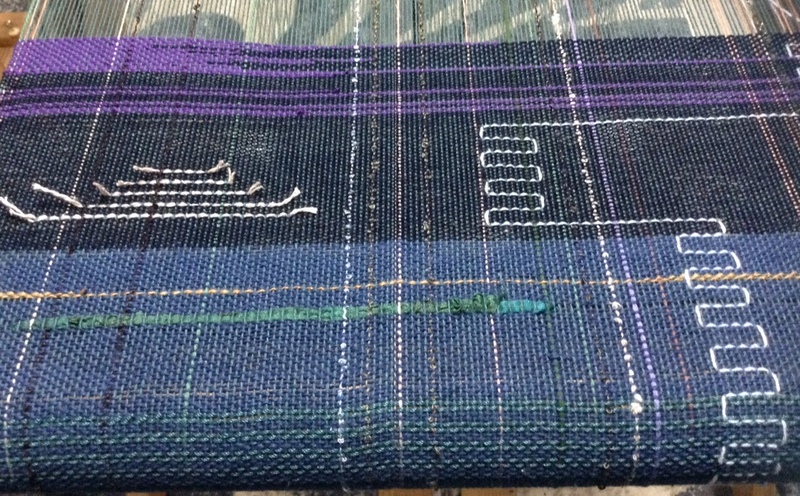 Weave a few picks of the normal weft again. I just repeat that, taking the additional yarn back and forth. (Hope that makes sense?). 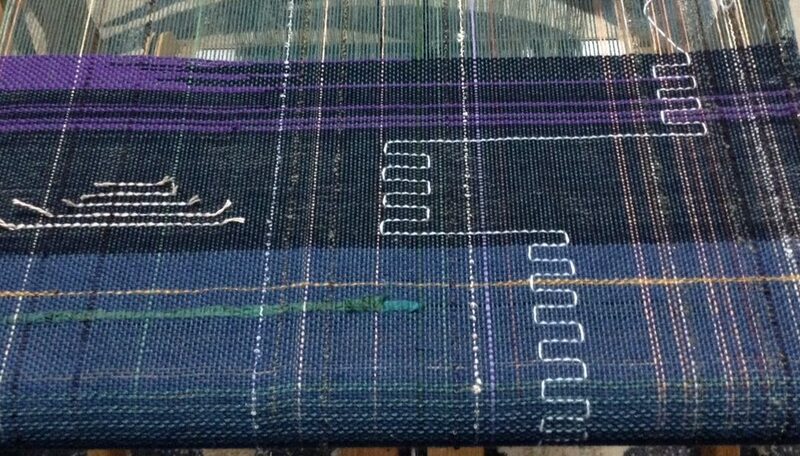 Remember that the vertical floats are on the top side of the cloth, the reverse side of the cloth will just show horizontal lines of the inlay yarn. I have made a short video to show you how I did it. That looks great. Now I have another technique to try, one day. Thanks for posting.